When I first heard about Jamie Cullum‘s new album Interlude, I only knew its title and knew nothing about its content. That said — the first listen felt a bit odd. 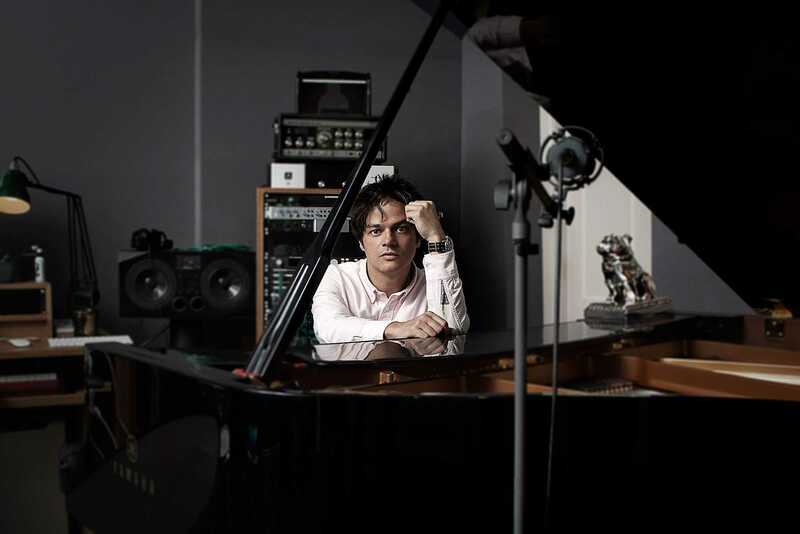 The arrangements didn’t sound like the Jamie Cullum I loved from his previous albums. Sure, Jamie’s confident vocals made it seem musically perfect and well produced, but something still felt strange. I wasn’t disappointed, just perplexed. I began looking at the record sleeves for more information (yes I bought the vinyl). As it turns out, I knew some of the names credited on the album and recognized some of the track titles. It seemed like an eclectic blend of music over a huge span of time. The original recordings range from 1922 all the way to 2008. My curiosity got the best of me, so I started digging into the album online. Thankfully, Blue Note released an article for Interlude that expanded on the record sleeve information. It turns out, Jamie has a radio show in the UK where he presents jazz to his audience for an hour a week. One of his shows brought Ben Lamdin into the studio. Ben is in a band called Nostalgia 77; he’s also a great producer. After their conversation, Jamie asked Ben to collaborate with him and produce a new album. Not just any album, Jamie wanted to lay down tracks with historical significance while avoiding the oft-covered Rat Pack era music. Jamie calls himself a “crate-digger” and proves it with this curated track list. Crate-diggers spend hours upon hours in record stores digging through crates of records often finding old recordings that most people have never heard. Some of these tracks are so obscure that it took me hours to find the original recordings and arrangements he covers on Interlude. The album liners were a good starting point, but I didn’t know most of the names listed. Surprisingly, one track’s attribution (Walkin’) is completely wrong. I assume it’s a mistake in Blue Note’s production of the American album, but they didn’t reply to our inquiry before the scheduled publish date. I also had to familiarize myself with new artists like Laura Mvula and Gregory Porter and a few older musicians like Emmett Miller, Mary Lou Williams, and Sarah Vaughan. After a ridiculous amount of research for a single record, I felt like I was finally ready to write the review. This album is an epic lesson in music history. I’d say jazz history, but it’s much more than that. Throughout the record, Jamie and his band lay down big band and blues arrangements that blend themselves into a hybrid of modern music. Jamie asked Riaan Vosloo, Tom Richards, and Rory Simmons take the reigns with the track arrangements so he could lose himself in the music and enjoy the experience. Some of the arrangements strip everything down to minimalist jazz combos, but these musicians produced and arranged every track in a way to honor the original artists while bringing big band jazz to new generations. As Jamie said in the Blue Note piece, “I want to inhabit your world for two or three days…” I expect these recording sessions were like music nerds coming together for summer camp: a place full of joy that carries extra freedoms and camaraderie not found in every day life. To be in that studio, watching and listening, would thrill me tremendously. It’s probably obvious that I’m a huge fan of this album. It took a few listens for it to grow on me; I loved it more after I fully understood Jamie’s intentions for this record. It’s a contemporary big band masterpiece. That said — let’s dive into some track-by-track information. When I first heard this track, there was something eerily familiar about it. In 1954, Sarah Vaughan and Anita O’Day rearranged Dizzy Gillespie’s A Night in Tunisia. They borrowed his melody, added lyrics, and began calling the track Interlude. Riaan’s arrangement stays true to the 1954 recording, keeping the familiar “da da dum” hook that perfectly represents the title of the track. The lyrics tell a sad story of a short-lived romance with one lover explaining to the other that love is just a short pause between the realities of life. It’s a great track that I’m glad made it onto the album. It taught me a little about Dizzy Gillespie’s history I never knew. Don’t You Know is a classic R&B track written by Ray Charles in 1954. It hit number 10 on the US R&B charts. The arrangement is largely the same as the original, but Jamie recorded it at a slightly faster tempo and put his signature mellow energy into it. Does that make sense? Sure it does. Just listen to the track, and you’ll hear Jamie display his vocal swagger. Is “pimp” the right word? Probably. I was initially confused by this song choice, but I listened to it, read the lyrics, and decided that it was brilliant in both curating and performance. Sufjan Stevens originally wrote this track for his 2005 Illinoise album. It is a melancholy, lyrical exploration of the apocalypse as pulled from the Bible’s Book of Revelation. Riaan took Sufjan’s reflective arrangement and gave it a big band heartbeat. The original tension of the song is amplified in this arrangement. Mary Lou Williams originally recorded this track in 1951 for circle records. Jazz scholars consider Williams the queen of jazz piano. She worked with great musicians like Dizzy Gillespie, Miles Davis, Duke Ellington, etc. Nat King Cole recorded this track later that same year, but it never gained much popularity. In fact, Blue Note messed up the attribution on Jamie’s album due to its lack of popularity (we assume). Instead of attributing it to Williams, they gave it to Miles Davis’ track of the same name. Tom’s arrangement thankfully gets rid of the weird shout chorus at the beginning of Mary Lou’s recording and, as always, is a very clean take on a classic. Originally recorded by legendary jazz singer Billie Holiday, some of the world’s best jazz artists loved recording this track. Diana Ross, Tony Bennett, Chris Botti, and many others have all recorded this piece. I’m impressed with how clean and true to the original track Tom kept this arrangement. It’s another perfect example of the classic big band sound. Jamie invited Laura Mvula to join him on the track. She’s a popular soul singer in the UK. She adds a simple quirkiness to the track that acts as a modern interpretation of Billie Holiday’s original recording. Originally recorded in 1960 by Cannonball Adderley, Sack O’ Woe is usually recorded as a jazz instrumental without the lyrics. Van Morrison and Georgie Fame recorded it with the original lyrics for their 1996 album “How long Has This Been Going On.” As always, Jamie added his sense of cool to the track. The rest of the arrangement is very laid back with a subtle groove. Nina Simone originally recorded this track in 1964.This is another track that has been recorded over and over again… but the song is still well written and deserves to be on this historical exploration of jazz. Riaan’s arrangement is true to the original, clean, and sung by Jamie and Gregory Porter. As 2014’s Grammy winner for best vocal jazz album, Gregory Porter’s popularity modernizes the track while being a straight-up great vocal. Originally written in 1952, this song was popularized by Frank Sinatra in 1953 and has been a favorite in the world of jazz ever since. Out of all of the tracks on the album, this one may be one of the most oft-recorded tracks. Artists like Sarah Vaughan, John Coltrane, Andy Williams, and Sting have all recorded this track at one point in time. It’s one of the mellowest songs on the album and defines itself with a quiet melody that whispers love song. Lovesick Blues first appeared in the 1922 musical Oh, Earnest. Emmett Miller recorded it as a single in 1928, but it was popularized by Hank Williams’ 1949 arrangement and recording. Hank’s version was a sharp departure from the original recording… ironically, it’s the most popular arrangement at this point. Rory ignored the Hank Williams version and used Emmet’s recording for inspiration. It’s a great big band arrangement that blends well with Jamie’s raw, emotion-filled performance. Originally released on Randy Newman’s 2008 album Harps and Angels, Randy wrote this song about an older couple who said they didn’t have time to get over the loss of their son at their current point in life. The lyric is a powerful reminder to treasure what you have and pray that you don’t lose the people most important to you… you may not have enough time left to get over it. Jamie’s arrangement of this song is spot on. Thoughtful and heartfelt, with a lyric like this, you can’t go wrong. It’s stripped down, mellow, and simplistic — just brilliant. Jo Stafford originally recorded this song with a dark, galactic feel. While significantly faster than the original, Riaan’s arrangement internalizes that concept while taking queues from other versions by Sammy Davis Jr. and Tony Bennett. It juxtaposes a straight string section reminiscent of dark classical music against the swing, 6/8 beat laid down by the combo. It also has a killer Tenor Sax solo by James Allsopp. Make Someone Happy was originally written as part of the 1961 musical Do-Re-Mi. Since then, many artists added this song to their repertoires. Jimmy Durante’s arrangement tends to be the best-known version, most likely as a result of being featured in the romantic comedy Sleepless in Seattle. Riaan’s arrangement is more stripped down than anything I’ve heard previously. I spent a long time listening to other versions and couldn’t find anything this minimalistic. It’s a great and thoughtful arrangement that suits Jamie’s voice very well. As far as I could tell, this song first appeared on Mark Murphy’s 1973 album Bridging a Gap. Riaan’s arrangement is actually a cover of a second arrangement from Mark Murphy. We’ve linked the second arrangement here because Spotify is all kinds of messed up when searching through Mark Murphy’s music. Riaan’s arrangement is slightly faster than the original and uses the saxophone section for the main riff instead of guitar. It gives the track a raw, big band feel. It’s one of my favorite tracks on the album. I’m new to Mark Murphy, but he’s definitely worth a listen. His discography is absolutely huge. Originally written in 1932, it was included in a Broadway review called Chamberlain Brown’s Scrap Book. This is another track covered by countless artists including the great Ella Fitzgerald. It’s a simple big band arrangement that allows Jamie’s vocals to cut through the music like wind through the leaves. It’s a perfect realization of the lyrics and I love it. Jamie closes the album with Come Rain or Come Shine, another hugely popular song written for a musical. First recorded in 1946 by Sy Oliver, it was part of the musical St. Louis Woman. Margaret Whiting was the second artist to record the song; since we couldn’t find a recording of Sy Oliver, we’ve included Margaret Whiting’s version to the right. Most jazz enthusiasts consider this song a standard at this point. It’s a perfectly fitting way for Jamie to finish this walk through music history. I have to applaud this wonderful group of musicians for creating such a great album. Unfortunately, I’ve seen several bad reviews online written by people who don’t understand Jamie’s creative vision for this album. All of those people will be happy to know that Jamie’s almost done writing his next album. He told Blue Note that “…making Interlude has really made me want to push this next one sonically a bit further, so it’s quite exciting.” Personally, Jamie blew me away with the thoughtfulness of this album; I can’t wait to hear what he does next. If you haven’t listened to his other albums, I highly suggest you check them out. Jazz music helped define American culture and the music we play today. If you’d like to hear and learn more about its history, I put together a Spotify playlist featuring the historically significant jazz musicians I mentioned in this article. The playlist is embedded on the right. Subscribe, hit the shuffle button, and enjoy it!